Jeff's Welcome from Jeff Cavins on Vimeo. Annual Pilgrimage to the Holy Land! Please join us for a life-changing pilgrimage to the Holy Land, January 11-24, 2017 with optional extension to southern Israel or to Petra. Registration is now open! To register for the pilgrimage please fill out all three pages of the registration form (below) and sign it. Mail it with the deposit to the address on the form along with a photo copy of the face page of your passport. A passport must not expire before 6 months after the last date of travel. (In this case, it can't expire before July 24 of 2017.) If you need to get a new passport, send in registration anyway and note that passport is pending. Meet the staff for 2017! Kara Klein will be our cantor! For a taste of her lovely voice and her mission, visit her website. Spiritual Director, Fr. Matt Guckin. He is the Director of Catholic Mission and Identity for the Archdiocese of Philadelphia. 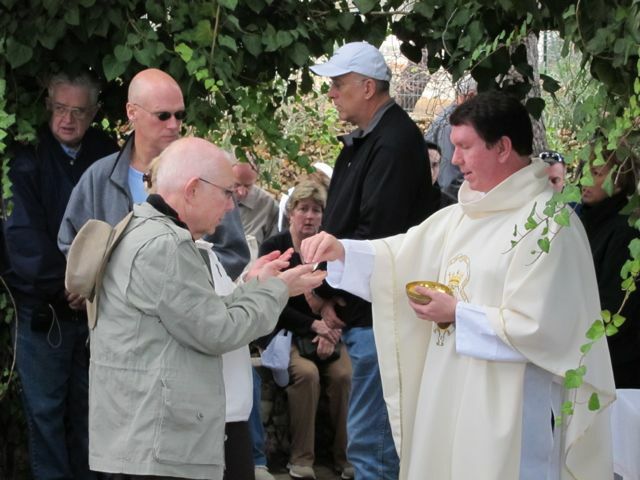 He is an experienced pilgrimage leader, full of energy and joy. He accompanied us to Israel in January of 2011 and we were inspired by his enthusiasm for the faith.